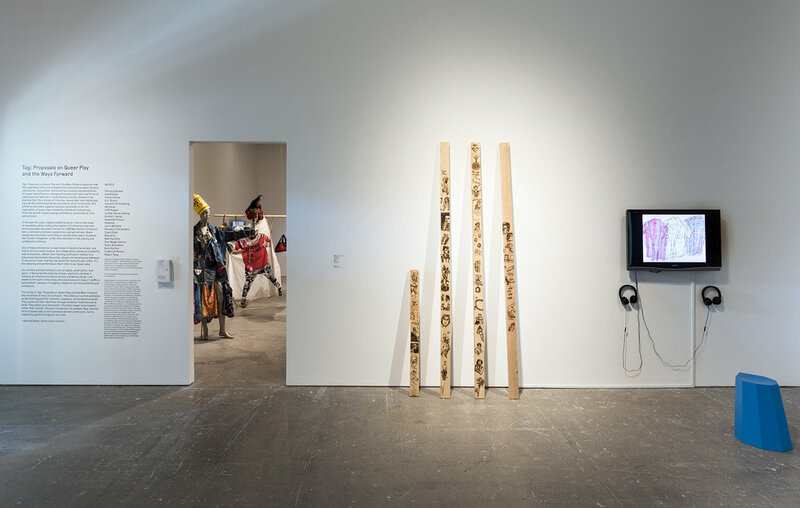 Organized by guest curator and artist Nayland Blake, Tag: Proposals On Queer Play and the Ways Forward explores how the expanding influence of digital and online technologies, fandom subcultures, and artistic discourse has created new possibilities for queer identification, changing how personal roles and forms of expressions are defined in contemporary society. 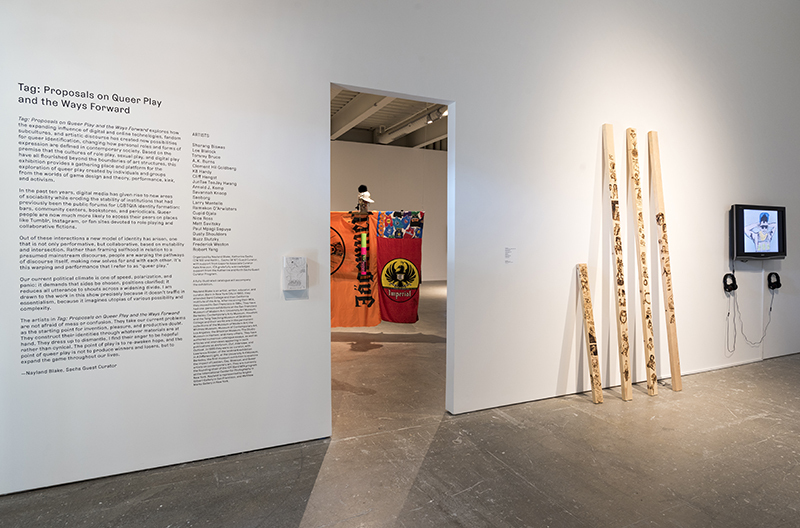 Based on the premise that the cultures of role play, sexual play, and digital play have all flourished beyond the boundaries of art structures, this exhibition provides a gathering place and platform for the exploration of queer play created by individuals and groups from the worlds of game design and theory, performance, kink, and activism. 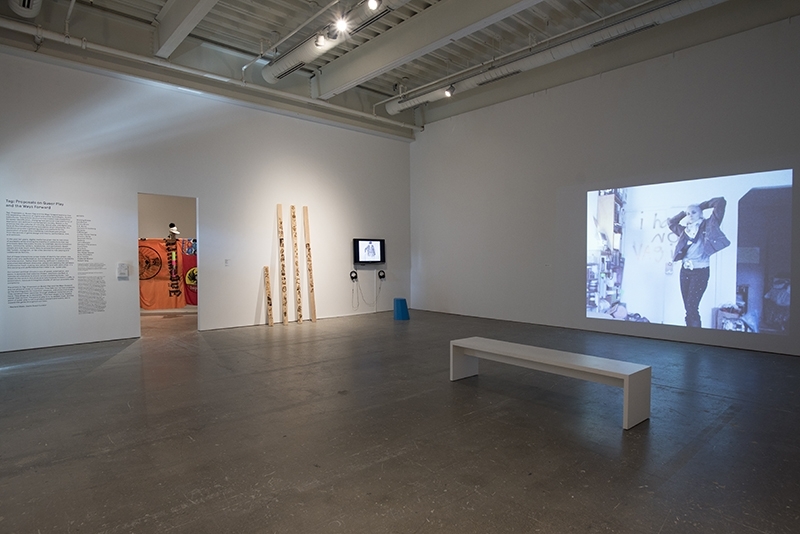 Art in America review: Subcultural Treasures, Brian Droitcour. May 1, 2018. Baby’s First Baby, 2016, pyrography on pine, 46.75 x 3.5 x 1.5 in. I Like to Go Camping, 2016, pyrography on fir, 96.25 x 3.5 x 1.5 in. HAHA, 2016, pyrography on fir, 96.25 x 3.5 x 1.5 in. 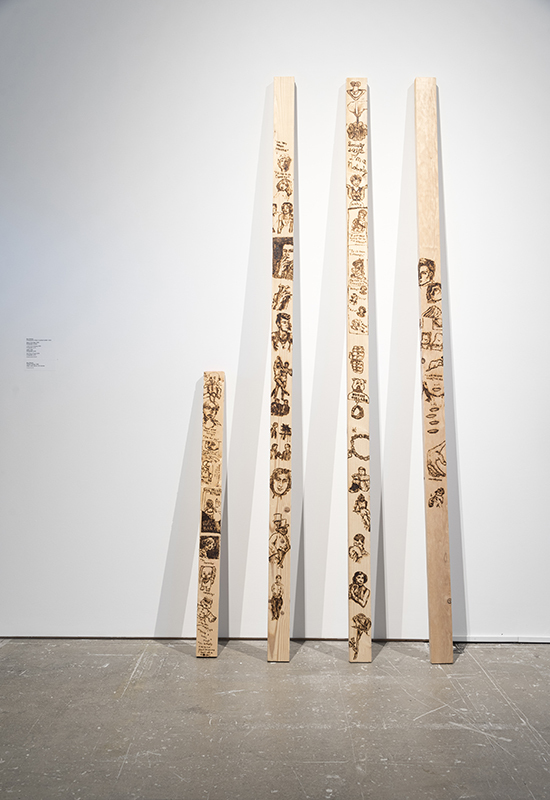 The Price of Youth, 2016, pyrography on fir, 96.25 x 3.5 x 1.5 in.